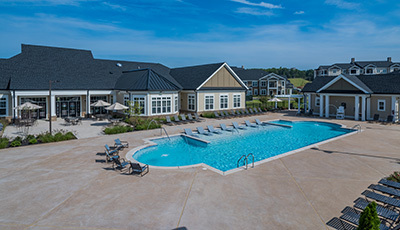 Abberly Avera is a new and vibrant community that offers a fresh perspective on apartment living in the Manassas/Bristow/Northern Virginia area. With a perfect blend of thoughtfully designed floor plans, outstanding features, and a desirable location, residents are sure to experience life through a new point of view. This prime location is close to Washington D.C. and Maryland just off I-66 and close to I-95 and I-495. After a long week, residents can relax with life’s necessities close by Bristow Shopping Center, 2 Silos Brewery Company, or absorb the local charm of the area by dining local, playing outdoors, or visiting Historic Downtown Manassas. If you choose to not leave home, residents can relax and kick back in our clubhouse and separate Resident Activity Center. There you will find lounge seating, game room with classic arcade games and foosball, work out in our Adrenaline Cardio and Strength Studio or catch the game on one of many 4K HD TV’s with smart functionality. All of this, plus a customer service promise backed by the HHHunt brand.